I picked up this book from a small shop in a Casino in Sydney while on my honeymoon (how random, right? )- I feel like absolutely every single recipe here is tempting to make, and since it's a "vintage" edition of some sort, none of the cakes have hard-to-find ingredients. Most depend on pantry items with the odd fruit here and there, and dairy. Best cake book ever. Has just been reprinted (August 2014). This was my go-to mud cake recipe for years, then one day it stopped working for me. As far as I could tell I hadn't changed anything, but once it came out dry and dust, once almost a paste, so I stopped making it. I should probably try it again in a half quantity to see how it goes. p32. This is nice served warm and cut into small squares for either afternoon tea or dessert. p33. My favourite basic chocolate cake. However, I'm not a fan of the associated icing recipe (proportions seem wrong and create an odd texture) - make an alternate with icing sugar, butter, cocoa powder and hot water instead. I made this cake without the frosting and it was absolutely perfect in its simplicity, it fed me every single day for an entire week, for breakfast. With a cup of tea. Mmm! 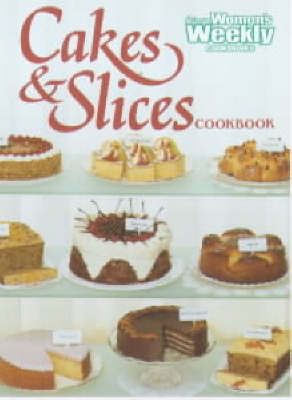 I cannot wait to make more cakes from this book. Makes a Swiss-style carrot cake - very moist, not really the sort of thing you put cream cheese frosting on. Is also very good made with half carrot and half grated beetroot, although you lose most of the beetroot colour. An oldie but a goodie. I like to add a lemon cream cheese frosting to make this cake even more luscious. p47. Yum - love the pink coconut icing. p53. A childhood favourite, After a day or two it tastes great with butter. p53. A childhood favourite although this always used to taste quite grown up to me. This has always been my "go to" recipe for using up ripe bananas: always delicious, moist and really easy. Quite agree with Karina on this one! This was the first cake recipe I ever made, chosen specifically because it was one of the few that didnt start with "cream butter and sugar" as I didnt have a beater at the time. It is moist, it is delicious, it is simple and I've made it dozens of times. Its great uniced as a simple cake with tea or if you want to glam it up passionfruit cream cheese icing makes it special. p78. I love this cake - nothing overly glamorous although it is perfect with a cup of tea. The crunchy cinnamon sugar on top is fantastic. p79. Mum says she has made this cake and it is very good. I'm not sure if I can recall it, however the custard filling looks delicious. Very easy - you just have to factor in half an hour chilling. I make it in the food processor. The apricot is lovely, but works with any slightly tart jam - I've used marmalade and sour cherry successfully. Can use dried apricots instead of glacé, then it's not too sweet. p97. This is a lovely moist cake that looks quite fancy - the apple slices make a lovely pattern as the cake rises. Another one of mum's favourites, although I think she skips the gelatine on the glaze. This slice is quick to make and very popular, dubbed Mars Bar Slice I get endless requests to make this. Note mars bars are no longer 65g, I usually use a bag of Mini ones. When melting the ingredients don't lose faith, it comes together eventually. Also don't cut it cold from the fridge or it tends to shatter. I shared this recipe with a uni student and apparently you can make it in the microwave. So good, so easy. I've made this many times over the years, most recently with a bergamot instead of lemon. p112. Of the dishes my mum cooks, this is definitely one of my favourites, always a crowd pleaser. Stir the caramel for about 25 minutes, pay close attention to bottom of saucepan to prevent burning. This is my go-to brownie. Over the years I've tried others but always come back to this one. Easy to make and a crowd pleaser but too sweet for me. Cake making is an enviable art but this work makes it easy with an array of cakes and slices, some rich and scrumptious, some purely indulgent, others using nuts, fruit, yogurt and vegetables.